Hello this is my blog ("waves"). 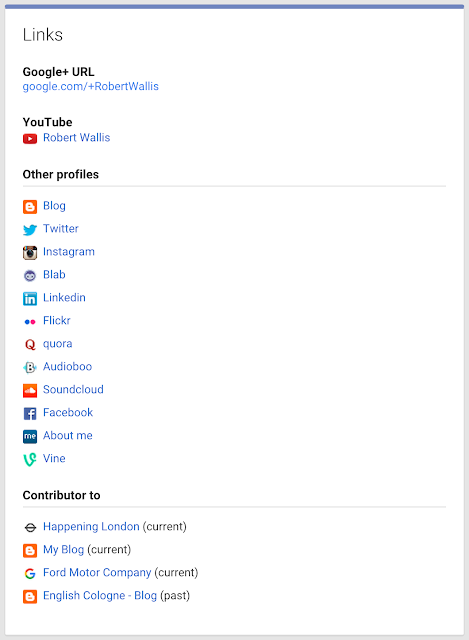 I do not link to here on my social profiles. Don't miss the opportunity to consolidate your personal brand. I link to my Google profile (about page) everywhere, here's why I think you should too. Google is a trusted (recognised) brand. 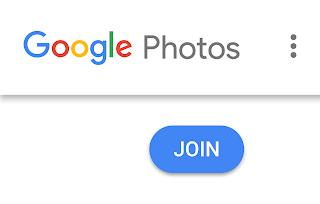 The URL is itself a neat call to action: Google Me! 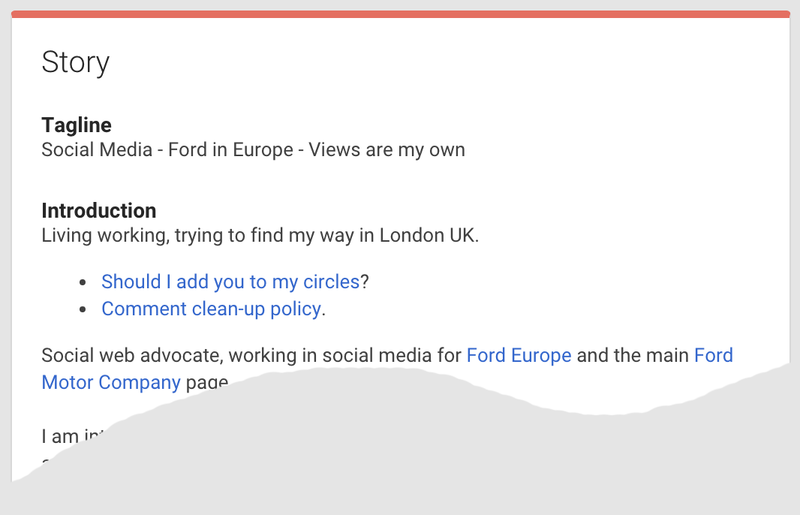 The destination (your Google profile) is very flexible. Other social profiles tend to be information lean, with limited text space or linking opportunities. 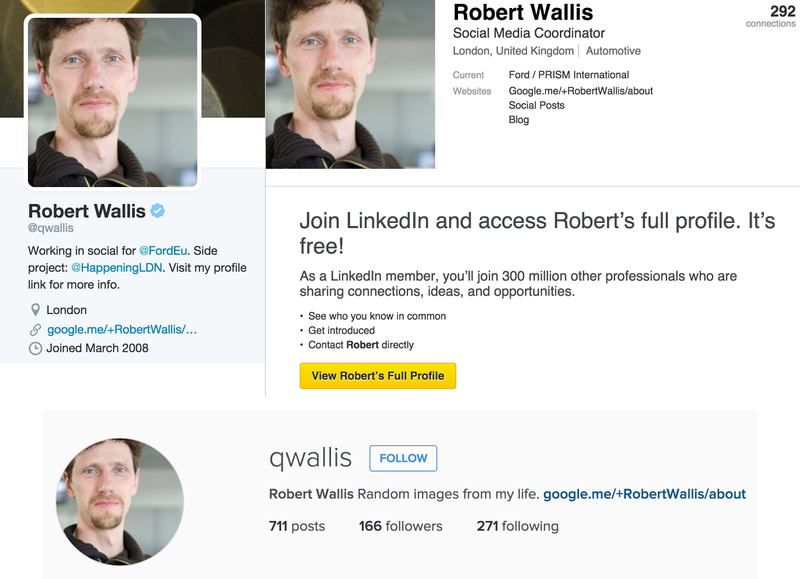 Here's a composite of a few social profiles you are likely to have. Twitter: "Your bio is a short (up to 160 characters) personal description that appears in your profile that serves to characterise your persona on Twitter." LinkedIn: Where your "public" profile is more limited than the one people may be able to access when they login. You can have up to three links. Instagram: where your bio can be a weeny 150 characters and one link. 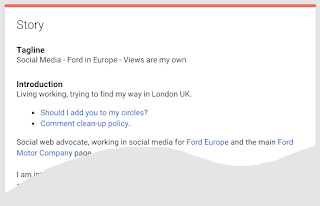 Linking to one place where all the information is makes sense, and can do so even if you are not a heavy Google user. The "Story" card has basic formatting options for text. You can add as much, or as little written information as you need to. Add hyperlinks to anything. Like most cards on the profile page you could restrict the visibility of the information depending on who is viewing: but it makes no sense either for you or for the viewer if all the information is restricted from the public in terms of personal branding. So keep both the "Story" card, where you can ... tell your story, and the "Links" card public. I don't have a "web site" as such, people who do may decide to link everywhere to their web site. I'm not sure, I might still use this strategy even if I did. 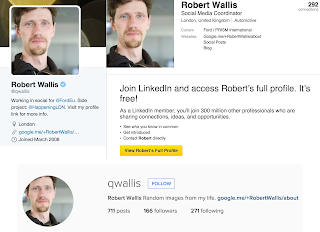 When was the last time you looked objectively over all your social profiles?